Getting healthy in the new year is always a focus in our family. 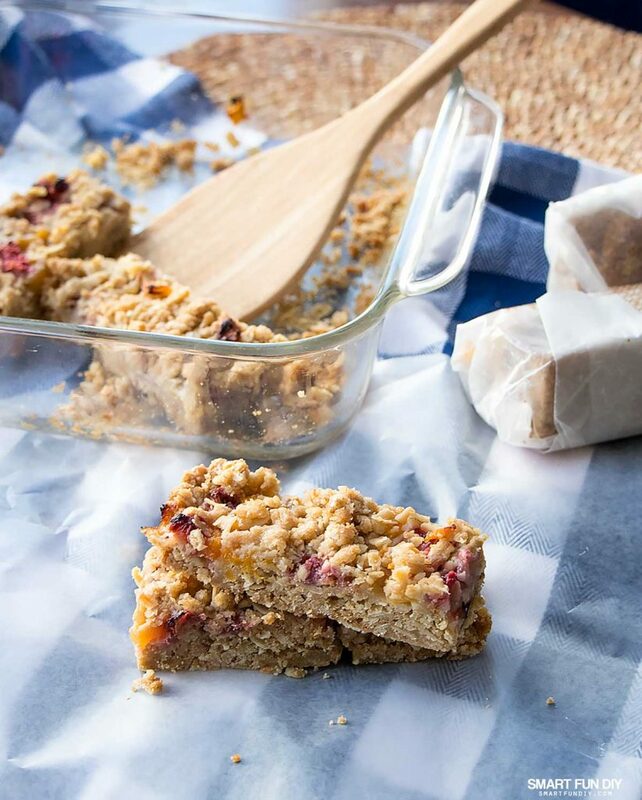 But saving time and money are too … that's why we created this Fruity Oatmeal Bars recipe! The kids are gonna love this yummy quick breakfast recipe and you're gonna love how easy and affordable it is to make. 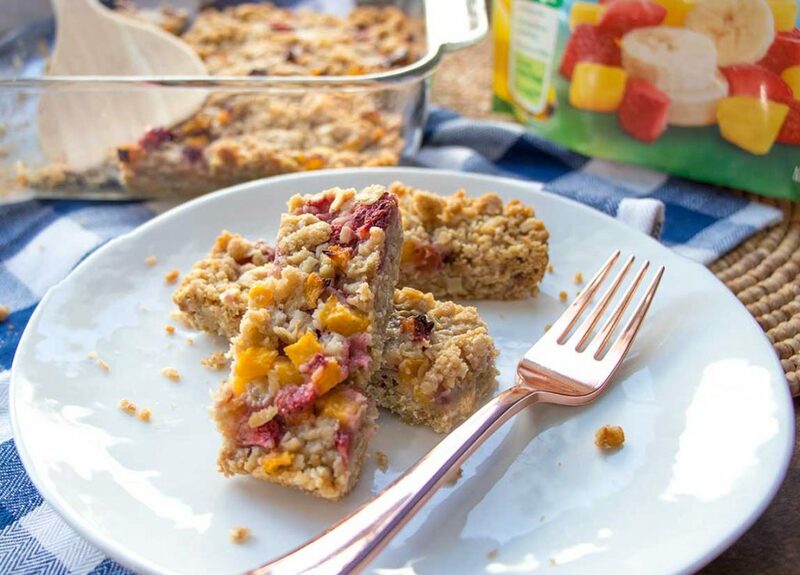 These fresh baked oatmeal bars are filled with delicious Dole Frozen Fruits that your family can grab on the go to start their day off right! It seems no matter how early we get up, there's not enough time for a full home-cooked breakfast. Growing up, we always had breakfast. It might have been cereal, but we ate. I remember kids at school telling me they never ate breakfast … I don't know how they got through the day! So with my family, I definitely want them to have a good, solid breakfast each day. Cereal just isn't gonna cut it but making a from-scratch country style breakfast spread isn't gonna happen either. I mean, let's just be honest. I know that somewhere in the middle is a healthy, home-cooked breakfast option that is affordable, convenient, and fast. That's why I love to prep ahead for breakfast-time. We like to make baked egg casseroles on Sunday that we can then eat all week long for breakfast, like this sausage breakfast bake my husband makes. He just made a version of this with more fresh veggies, no cheese, and sweet potatoes instead of hashbrown potatoes. It was so yummy! Not only is a healthy breakfast a challenge, but trying to make sure there are enough snacks for lunches, after school, and all those sports practices, it can wear ya out. I'm just not into buying a ton of packaged granola bars or chips. And when you're trying to start the year off right, those aren't what most people consider “good” choices. When I asked the kids what they really love to snack on, they both said fruit and snack bars. Well, that's an easy fix! 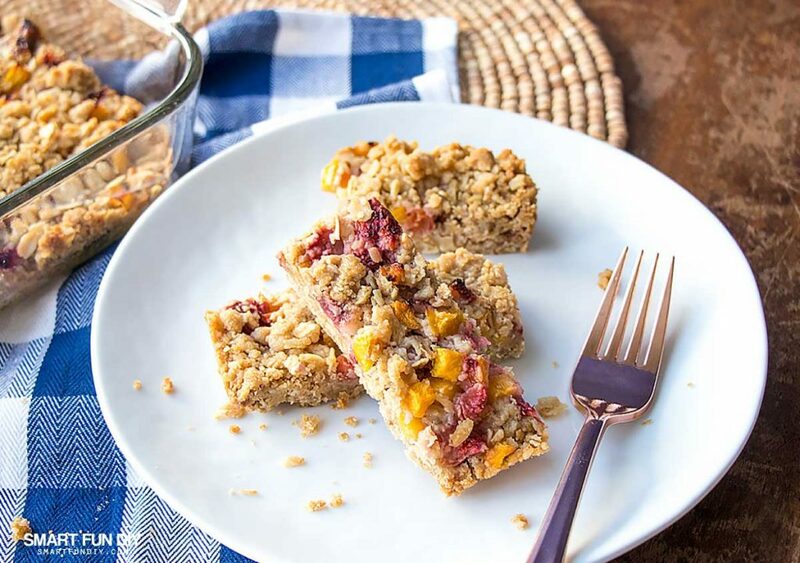 These Fruity Oatmeal Bars are perfect for breakfast, lunches, and after workout snacks. Plus, at about 220 calories and 2g of fiber each, you can feel good about digging into these bars with the family any time of day. 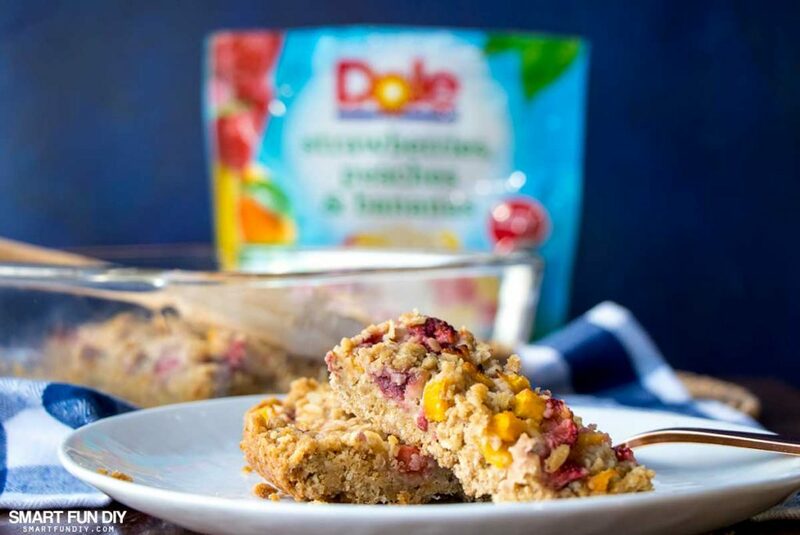 These bars are quick to make because I used Dole Frozen Fruit to make them. Save time on cutting up fruit plus you can feel good about serving quality non-GMO Dole fruits to the family. You don't even have to defrost the fruit to make this recipe! Yup, it's the same fruit you're probably using to make smoothies. With the cold weather, doesn't a warm oatmeal bar sound so much cozier than a cold smoothie? 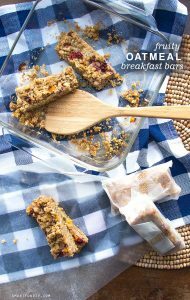 Check out the Fruity Oatmeal Bars recipe below to make these bars that you can feel good about serving and that taste delish. These fruity oatmeal bars make a great breakfast or snack. Combine flour, oats, brown sugar, and baking soda in a mixing bowl. Cut up the butter into small pieces and mix together with the dry mixture using your hands or a pastry cutter. Scoop out 1/2 cup of the mixture and set aside. Mix in 1 tsp of vanilla extract. Press the rest of the mixture in the bottom of a 9×9 pan. Even spread 7 oz of Dole Strawberries, Peaches & Bananas Frozen Fruit across the top of the mixture. Crumble the 1/2 cup of the mixture over top of the frozen fruit and press down. Bake at 350ºF for 35-40 minutes, until the top is golden and the fruit looks drier. Cool in the pan. Slice into 12 even bar shaped pieces. Store in the refrigerator in bags or wrapped in wax paper for freshness. CLICK HERE to download a printable version of this Fruity Oatmeal Bars recipe. Check out this video to see how to make these bars from start to finish. And yes, I used two different baking dishes because I made two sets of bars! 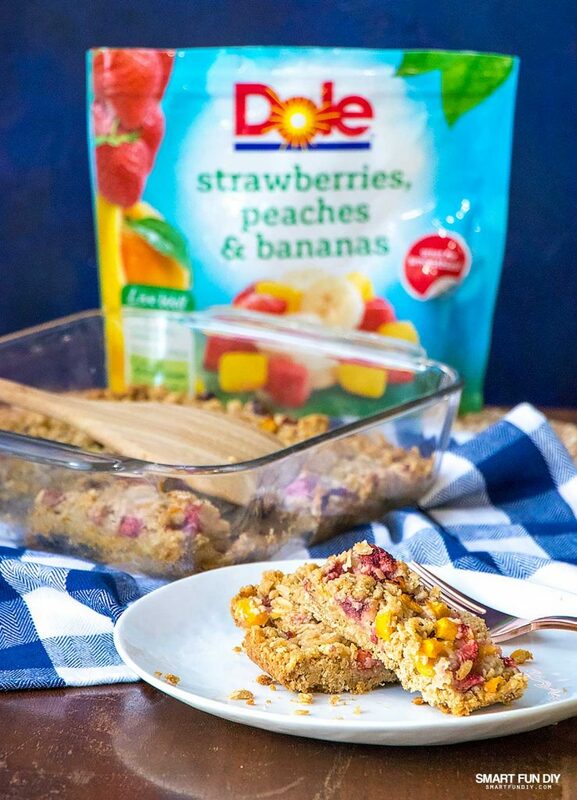 You can easily substitute any other Dole Frozen Fruit for the Dole Strawberries, Peaches & Bananas Frozen Fruit to get a different flavor. I can't wait to try the Dole Mango Frozen Fruit with this recipe … I think adding a touch of cinnamon to the recipe would be super yummy with the mangoes! You can also warm up the bars and serve with a small scoop of vanilla frozen yogurt for a delish, lower calorie dessert. 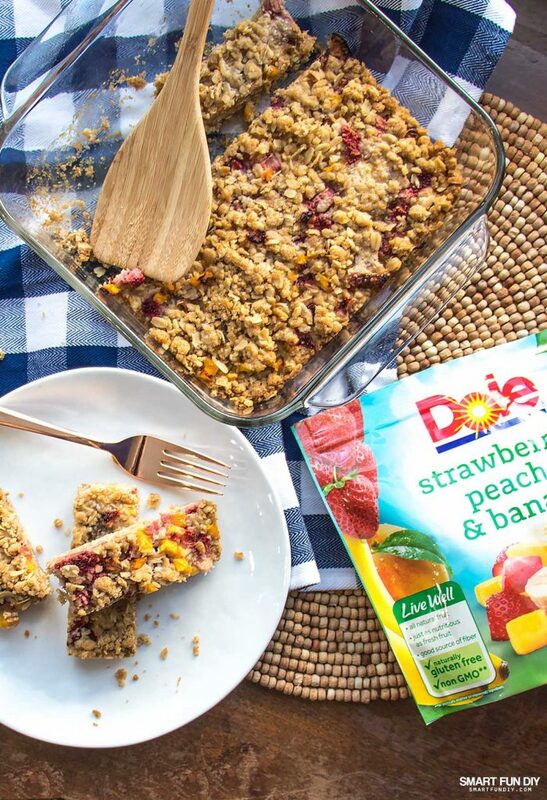 Which Dole Frozen Fruit combination would you choose for your Fruity Oatmeal Bars? Let me know in the comments! These look so good! Do you think It would work with frozen cherries? Also, could I use refined coconut oil work instead of butter/ghee? You may have to adjust the amounts because the cherries might have different water content but that sounds yummy. You can probably replace the fat but I’m not sure if the conversion is 1:1.